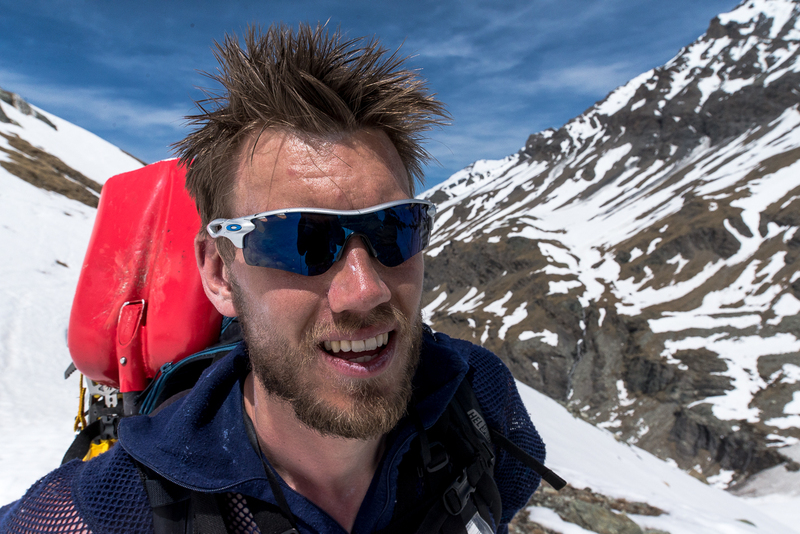 After just having returned from the Svalbard expedition (http://www.helsport.no/norexplore-tanker-etter-svalbard), we immediately had to reset our physical batteries and change our focus towards the route we were about to traverse in the Alps only 3 weeks later. The impressions from Svalbard were many and we were both mentally and physically exhausted. Therefore, it was even harder to get ready for a new and demanding trip, with the cloud of memories from Svalbard that didn’t have proper time to settle in our minds. We had a few stressful last days, as of which included a lot of schoolwork that we needed to catch up after a few weeks at Svalbard, and it certainly didn’t get any better when the computer that contained all our plans for the Alps said goodnight after a coffee spill. Even though, we managed to get all the final needed gear and food the day before the expedition. 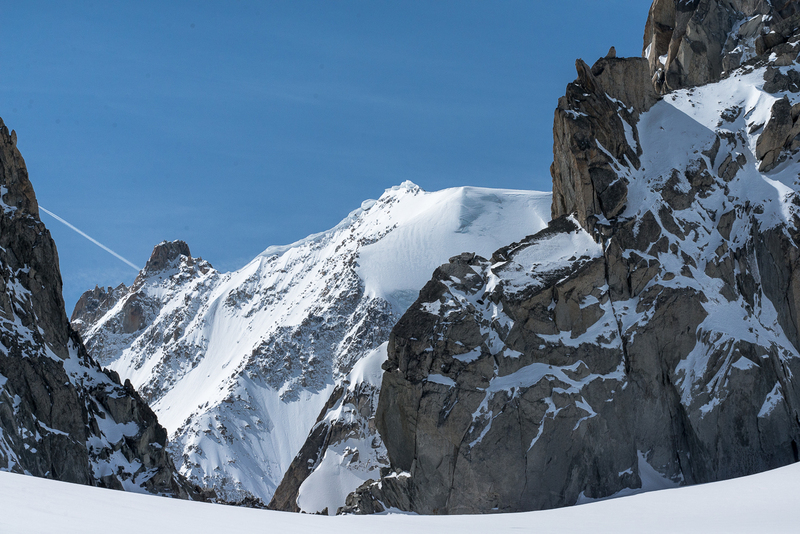 In our minds we thought, “We survived Svalbards` challenges, why shouldn’t we survive the Alps’?” Question marks governed the many note sheets with plans and description of routes – Dangerous glaciers? Avalanche risk? Snow depth? Weather conditions? How many ropes to bring? The same uncertainty and excitement as we had experienced before Svalbard was there, only this time we knew that the challenges were bigger. The route we were about to walk and ski was the randonee-version of the classic “Haute Route”, reaching from Chamonix in France to Zermatt in Switzerland via Verbier. It is the 9th of May, and we are starting what is going to be the toughest, most dangerous and most awesome trip we have ever done. 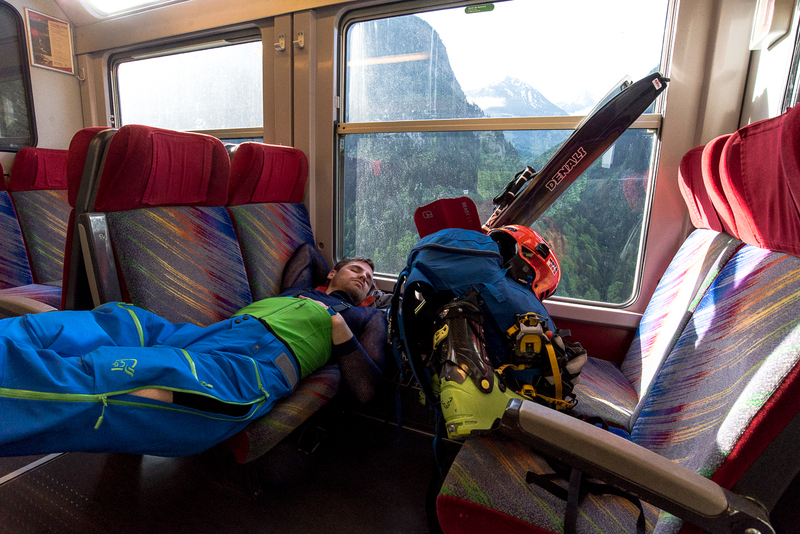 The train drops us off in Argentière, a small village which seems empty. Here, we buy some pie and cinnamon rolls before we ask a local about the route, who informs us that the lifts are closed for the season. 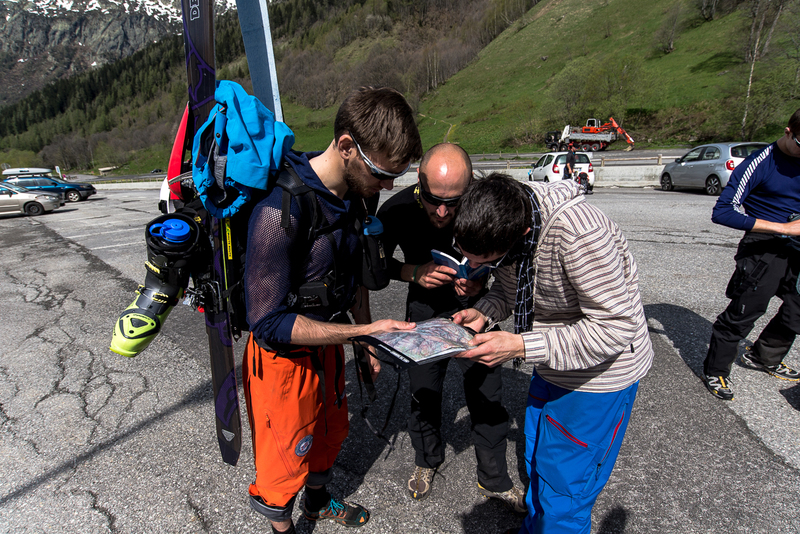 First day in the Alps, and we already have to make an alteration to the planned route. We have to hike up from Le Tour (1400) with our skis mounted on the backpacks and climb up to a different hut, the Refuge Albert 1er (2702m). The grass is green with all kinds of smells in the still air, the sun is shining, birds are singing and it feels like a typically Norwegian summer on its best. “Are we really going on a ski trip?” We look up on the mountain, which seems incredible steep from where we stand and we are wondering how to get up there, or anywhere for that matter, without climbing. Two possible routes are spotted, both whom which make our stomachs sick. Luckily, we find a group of hikers who are going for a two-day hike, who point us to the route we initially thought was the most dangerous. On the first couple of meters, the uncertainty increases. “Are we really climbing up there? !” The climb is about 45-50 degrees steep, which can be felt in the legs when carrying 20-something kilos on the back. “Luckily we have pie!” After a couple of hours with hard work, we finally take a “pie-break” and 50 birds and a mountain goat on its way up the mountain suddenly surround us. The scene is surrealistic and it is hard to believe that just a couple of hours back, we were in safe Lausanne. 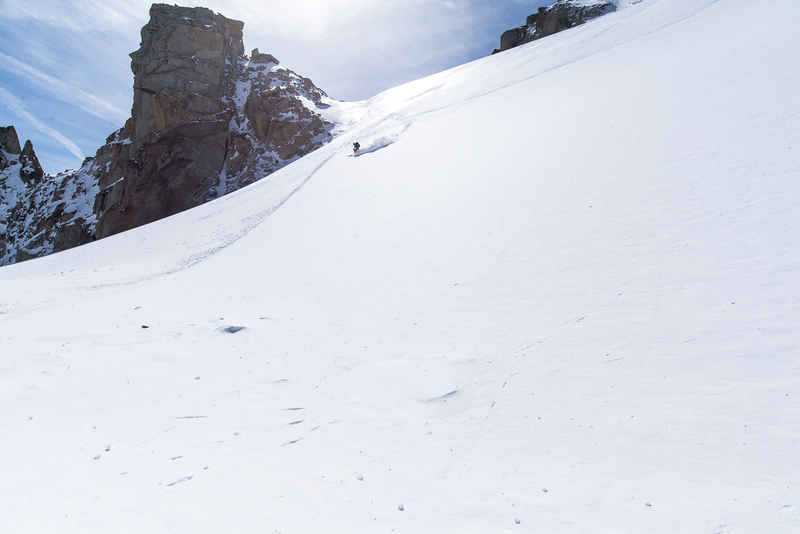 After a small passage where we have to climb through, we find snow to ski up the last bit. The hut is occupied by a group of people who are going for a summit the following day. 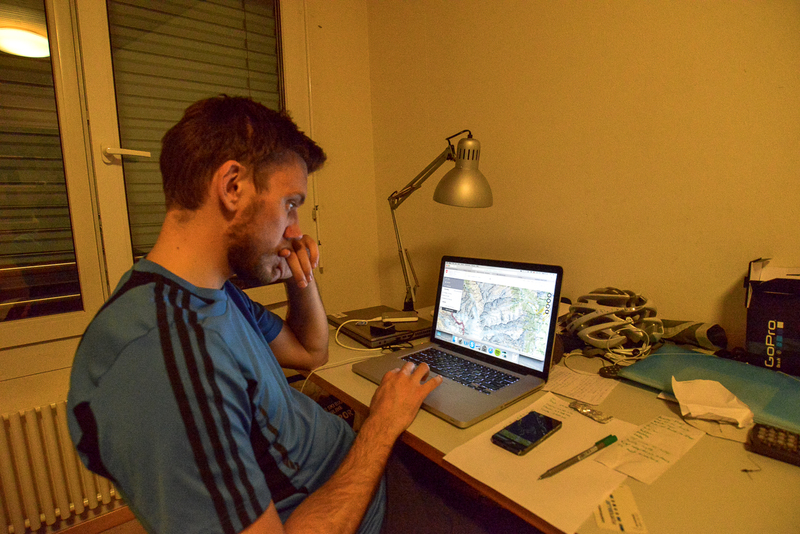 We ask them for all possible tips on the route the following day before going to bed to find some much needed sleep. It feels like we had a rough start, but actually, we have no idea of how tough the next days will be. This was the easiest day.. The days start as early as possible when the snow is still hard from freezing temperatures during the night. 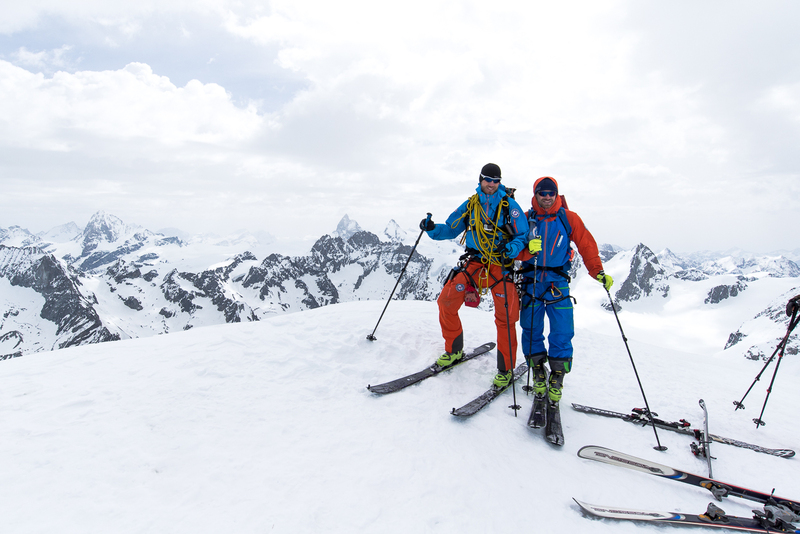 The freezing conditions make it easier to ski and reduce the risk of avalanches. When the snow heats up during the day, the avalanche risk increases immensely, therefore we try to reach the huts sooner rather than later on the day. However, it is still difficult to avoid the many risks when the days exceed 10 hours. It is day two, and the challenges are waiting for us. We start at 6, an hour behind schedule due to our rusty routines. The first hours are easy, hiking up towards Col de Tour, which we know from the people in the hut is not obvious to locate. 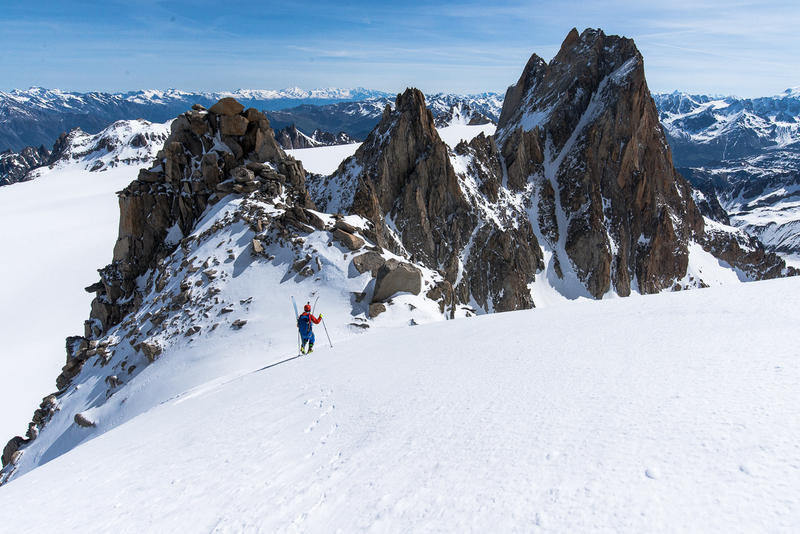 Ending south of the Col, we decide to go to the summit of Tète le Blanche on 3421 meters above sea-level. Suddenly, we get taken by surprise on an icy steep side, where a fall leads to certain death due to a precipice of 5-600 meters on the left. 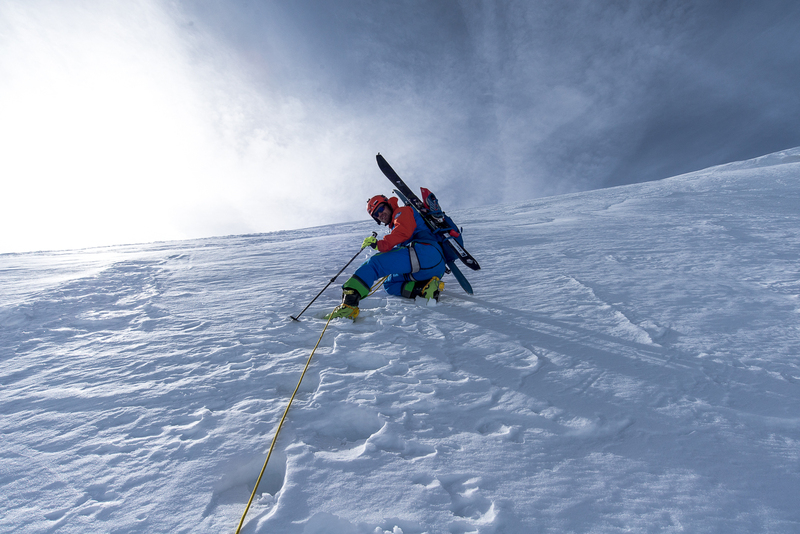 Bjørn mounts his crampons, helmet and make the rope ready while the heart is pumping at a rate of 180 and Tor is standing still and holding on to the icy wall. Both know that if the steel edges of the skis give in, Tor`s life will too. Tor finally manages to attach the crampons under the ski boots, losing his passport from his pocket while doing so. “Never mind Tor, as long as we don’t lose our lives!” We take rock-paper-scissor on who goes first to the next shelf where we are safer, a drill we will become familiar with during the next 5 days. Walking slowly with the ice axe in the hand, we manage to reach the shelf and then ski down the 45 degree slope to find Tor`s passport in the bottom. The relief of the first big obstacle is huge and the jubilation and high-fives are many. What we don’t know is that on this same day, we will face at least 3 more similar challenges, in addition to altitude sickness. The avalanche risk increases as time goes by during the day. 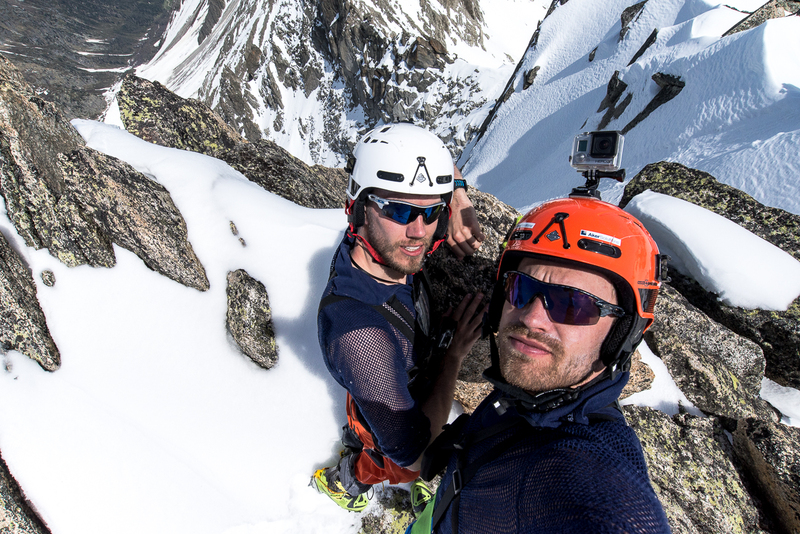 The last couloir we have to ski down is particularly risky. Tor slips and end up with taking some kind of backflip while sliding down, hitting the rocks in the bottom, luckily safe from the cliff ahead, uninjured. 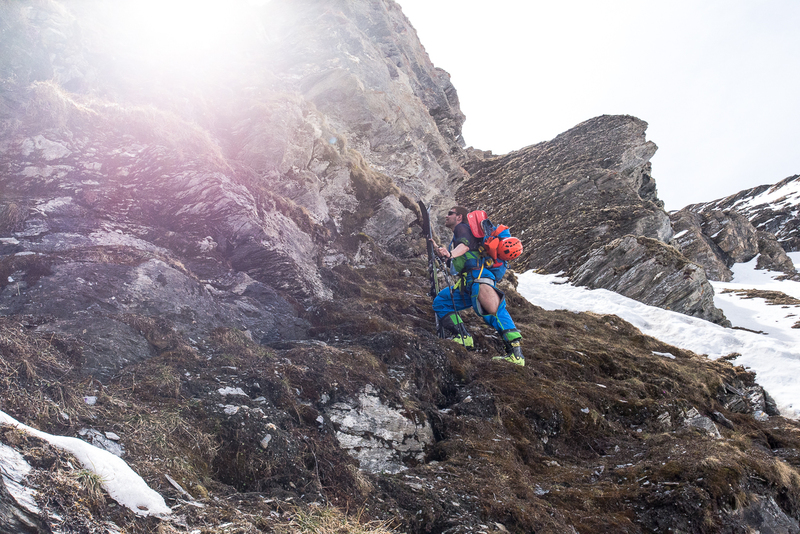 We finally believe that the risks of the day are over as we mount our hiking shoes before hiking down the last 700 altitude meters without snow. We are wrong again. As Tor is filling his water bottle, I hear some noise behind me and turn around. A rockslide is heading towards us and I scream to Tor “WATCH OUT!” who immediately jumps and tumbles on the rocks, landing painful on his thigh. The biggest rock is headed straight towards me. I run 3 meters to the side, as far as I can on the steep track. The stone is changing direction towards me again as it hits the ground. I therefore have to stand my ground, waiting for it to hit the last time to see where it is headed. I hold my ground and wait and dive to the side when I am sure of its direction. It flies with a rocket like sound between me and Tor. None of the rocks hit us. It feels like 15 seconds, but in reality it is over in 2 or 3. We continue down as fast as possible out of the dangerous area. After 12 exhausting hours, we finally reach Praz de Fort. 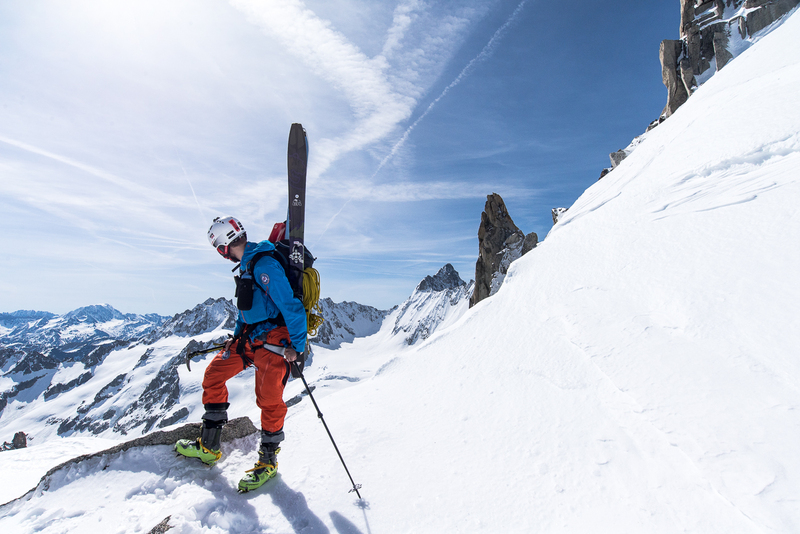 Here, we are picked up by Jean-Yves Michellod, a legend who won the Freeride World Tour in 2004, but who unfortunately was taken by an avalanche in 2006, breaking his back. Nevertheless, he had climbed Mont Blanc on crutches after the accident! 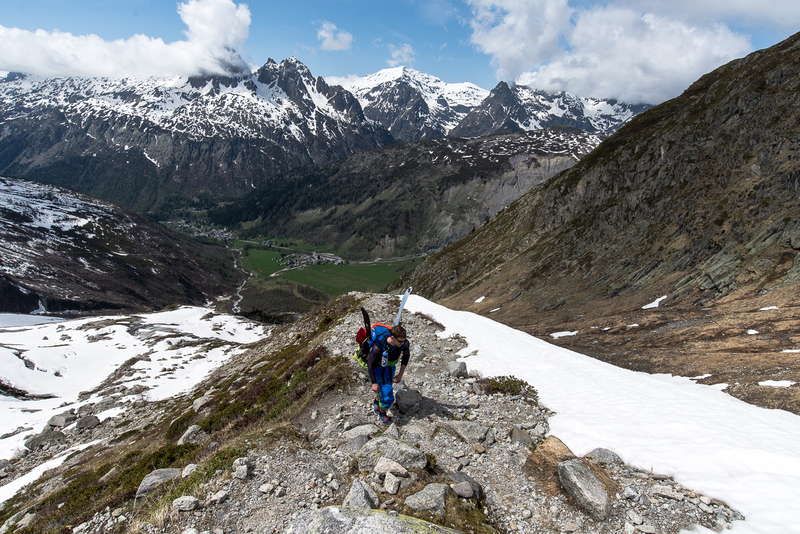 We arrive in Verbier with our backpacks filled with impressions that are hard to grasp. Both of us are beaten up both mentally and physically, but with an indescribable joy of achieving the day’s goal. 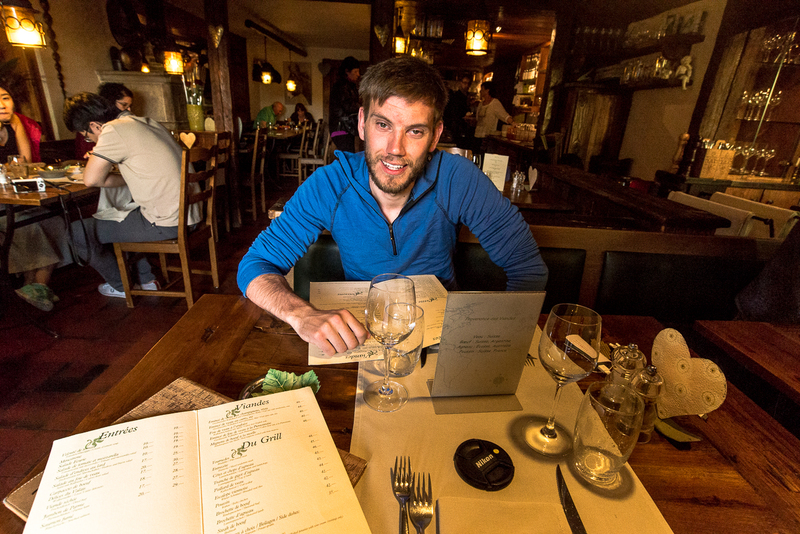 Sunburned, bruised up and starving, with a lot of new tips from Jean-Yves, who had worked as a guide for many years. The impressions were too many and it seemed like we had been on a two-week trip, not for two days. The next couple of days went by in the same way, only with less dangers and challenges than the second day. The huts were empty along the way. Arriving at the huts, we boil water from snow and eat as many calories as we can stuff in. The evenings are set at 19:00 hours and the alarm is set for 04:00. The routines from Svalbard are quickly in place. Along the route to Zermatt, we ascend amongst others, Point D`Orny (3271), Rosablanche (3336) and Pigne d` Arolla (3790). 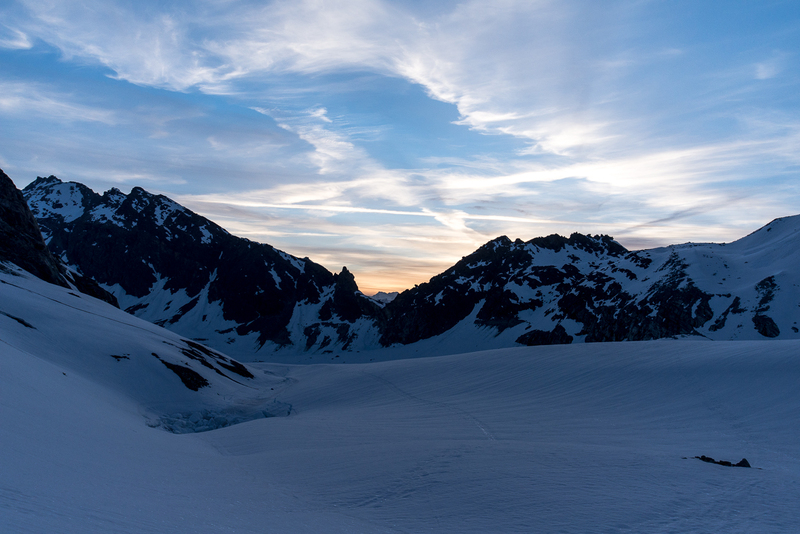 On the last day, we start at 05:15 in the twilight with headlamps, after a night in the Vignette hut together with two pleasant Germans who tell us about the hard climb of Col du Mont Brulè the following day. A mild night has left the snow unfrozen and soft, which makes the climb up the 60-degree wall extremely nerve racking. 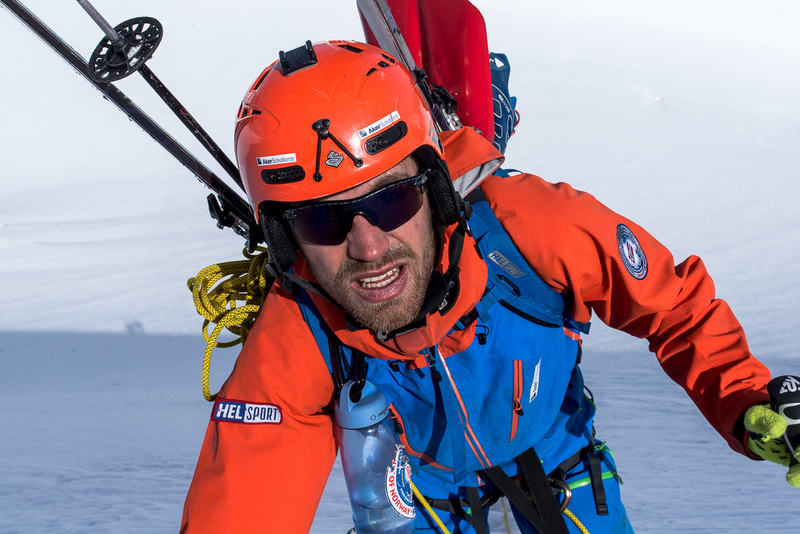 We have to crawl on all four legs and feet to stay on top of the snow layer and avoid an avalanche, knowing that the situation is extremely dangerous. The snow gives in a couple of times and it feels like an electric shock going through the body each time. The top layer of snow brakes with a cracking noise and you slide on the soft snow underneath. The anxiety spreads throughout the body and you start to count seconds and focus on one step at the time. The heart is pumping out of our chests while we reach the summit with the taste of blood in our mouths. After three mountain passes, the descend to Zermatt is starting, with Matterhorn (4478) on the right hand side, which give us an amazing view. Many hours have passed since the early start and the temperature has increased. The avalanche risk is therefore very high. Amongst the crevasses on the spring snow on the way down, we don’t really manage to have much fun even though the ride is incredible. On the way down we have to pass a huge avalanche that has recently gone to avoid running in to the avalanche that is going underneath us. Avalanches is erupting all around us, we witness 4 big ones, with enormous power and a deafening rumble. It is hard to put words on the feelings when we arrive the pleasant village of Zermatt after a grueling 13 hours day. We are relieved, tired, hungry and even touched in a way. But mostly, we are happy to still be alive. Both of us agree that if we had one more day, we would run out of luck. It feels like we spent 8 out of 9 cat lives. The route is done in 6 days, 1 day before our plans despite tough conditions with regards to the lack of snow above 2500 meters. Everybody is turning and looking at us as we walk down the village, two guys with backpacks filled with gear, skis on the sides and a lot of equipment hanging everywhere. They wonder what we have been up to being sunburned, having cracked lips, red eyes, bearded faces and equipped with the two biggest smiles in Zermatt. The day is celebrated in a familiar style, with a stake and a good dessert. People are staring as we eat our stakes in a hurry. Even though our tongues are sunburned, the stake tastes better than ever. On the following day, Bjørn heads back to school in Lausanne and the changeover is hard to take in after all the impressions. It all seems surrealistic, but it is also a kind of state of bliss to go to school. On the way I laugh so much that I burst into tears, “What the heck did we just accomplish? !” Just writing about the trip makes goosebumps on the back and wet eyelets. 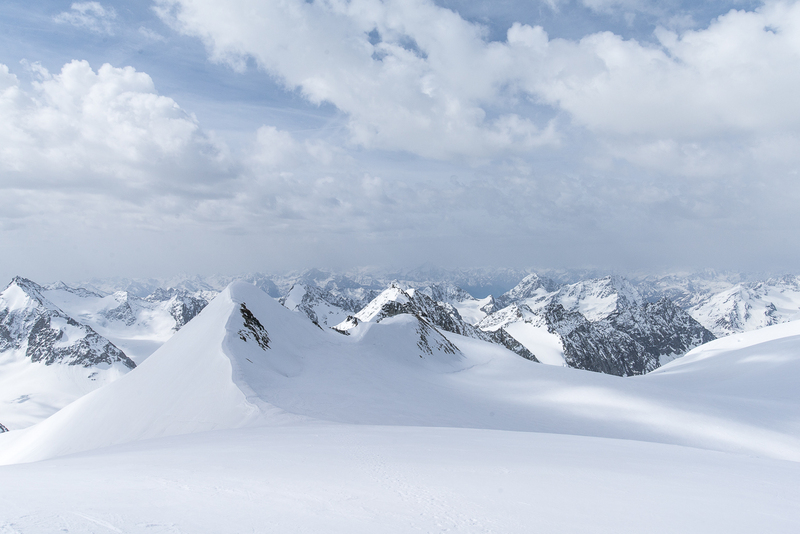 The Alps has given us an incredible and surrealistic experience, but also a new respect for the mountains. Even though we had all the best equipment, great training and planning, it is impossible to predict how the conditions will be. The trip can be done with much less risk in better conditions, and one should always aim for this to be as safe as possible when walking into the unknown. Medical equipment: Scissors, bandage, blister plasters, ibux, paracet etc. All day snacking: Energybars, Turmix, nuts, chocolate and CANDY! 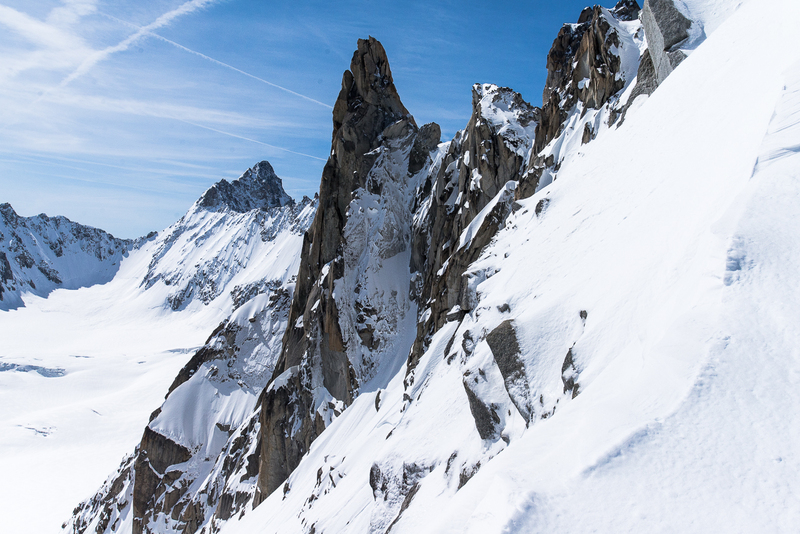 The Haute Route with a Verbier variation will be conducted in May 2015, with no guide or outside support.